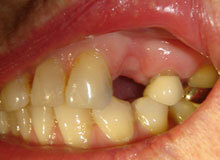 Wellington mini Implants, Wellington dentists specializing in Mini Implants. 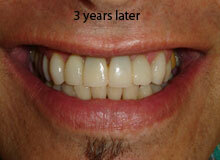 Mini Implants are a real alternative to the traditional Implant method. 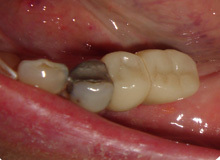 The standard insertion protocol for mini dental implants calls for them to be gently screwed through the patients gum. This is a relatively painless procedure that can be performed by a general dentist, requiring only a mild local anesthesia. 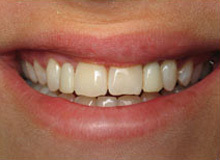 As a revolutionary departure from routine dental implant methods, Mini Dental Implants are so narrow they are typically inserted directly through the overlying gum tissue and into the bone underneath. 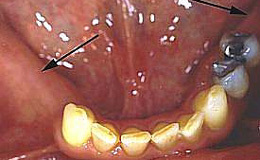 Consequently there is no need to surgically cut and “flap” open the gum tissue for most Mini Implant systems, routinely required for standard implant systems. 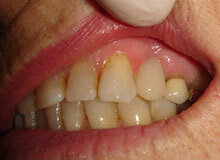 As a result, post-insertion patient irritation and soreness is significantly reduced. 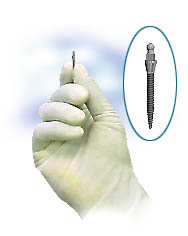 While all dental implants require care during insertion to avoid encroaching on vulnerable nerve, sinus or bony structures, the ultra small width of the mini implants offers a much more comfortable margin of safety. 5. 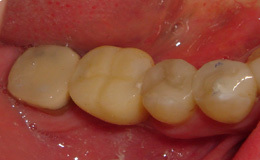 Mini Implants placed with Composite Crowns on top. 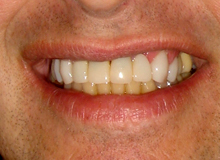 (photo taken; before, 5 mins after placement, 3rd photo 90 mins later) – $1900 for single tooth and $3200 for the double tooth with two Implants under it. 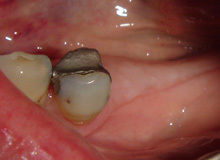 It must be recognized that all implant systems as well as natural teeth are subject to potential failure due to natural causes, including osteoporosis, poor oral hygiene, wear and tear attrition, poor health, heavy, stressful biting habits, and lack of follow-up dental maintenance care. 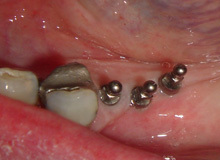 Mini implants similarly do not carry any actual or implied guarantee of longevity. 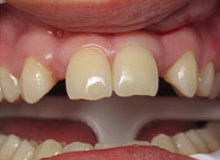 However, the loss of a mini implant is a far less critical event to the patient since it may be replaced at relatively minimal cost compared to larger conventional implants, and with minimal associated bone or gum deterioration. 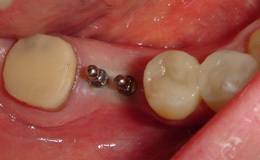 Case failures involving mini implants are extremely rare. 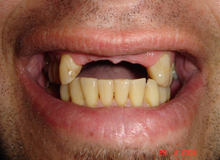 The largest and most up to date Mini Implant study showed 3 year survival rates of 95-99% for fixed teeth and 88-94% for removable Implant supported dentures. Although the mini Implant is a new development, it has been through rigorous testing and now has medium term studies that give fantastic success rates. The US Food and Drug administration has given consent to market the Mini Dental Implant device not only as a transitional or temporary dental product, but significantly, as a long-term solution for tooth replacement. 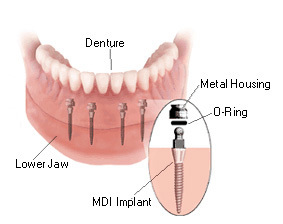 It is possible that one or more implants may fracture during insertion, or during the implant’s life cycle, and in the event a fracture were to occur, the fractured implant may be removed or left in the jaw if its causing no problem, determined by professional judgment. 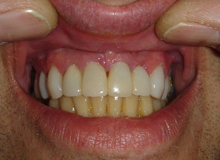 If the patient keeps good oral hygiene and does not return for return for appropriate post-operative care including plaque removal, Implants can fail. The use of tobacco, including cigarette smoking as well as excessive alcohol consumption can increase the chance of failure of the dental implants by around 3%. 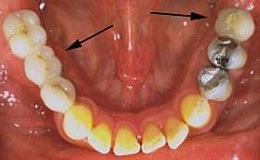 Swelling, infection, bleeding and/or pain may be associated with any surgical procedure, including Mini Implants and the said conditions may occur during the life of the implants.